Beautiful single family residential home, corner lot and located in a cul-de-sac. 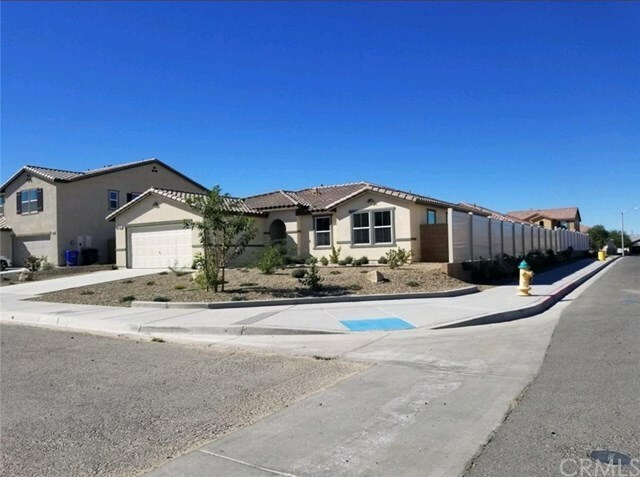 Featuring good size 3 bedrooms, 2 bathrooms with large lot at 7264 sf, spacious kitchen with island, lots of storage, walk-in pantry, master bedroom has walk-in closet, laundry area, masonry fence. Directions: 15 FWY Exit Mojave Rd, head west then turn to (north) El Evado Rd, left Chumash, left Laramie Wy, right Sweet Grass, left Silvertip Way.